The Mechanical Engineering department aims to fulfill its societal obligations through the effective utilization of the results of its scientific work. We call this knowledge valorization. In practice this means that the knowledge we develop is used commercially by new technology companies. TU/e and the Mechanical Engineering department encourage these young companies that often emerge from or during PhD studies. Within the Mechanical Engineering department a few successful companies have started up in recent years. Together with parties in the market, Fistuca designs and builds new machines for the foundation-laying sector. Fistuca is currently developing a cleaner, quieter and more controllable pile hammer and a cheap, low-maintenance and energy-efficient vibration hammer. Heat Power designs and develops heat exchange units, co-generation and power systems based on industrial turbo machinery. The strength of Heat Power lies in the decentralized segment (1-4Mwe) for which Heat Power offers customized solutions that are of particular interest in combination with crude (bio-) fuels. Optimal Forming Solutions is working on an adjustable matrix able to adopt, on the basis of CAD calculations, complex shapes. The technology uses a programmable bed of pins that enables a design to be created on this bed from a digital shape. In this way a functional product can be made within a matter of minutes. The distinctive feature is that a different product can be produced time and time again without the need to invest in a mold. The company is currently geared to the sheet-making plastics industry for vacuum and thermal shaping with applications for packaging small series of high-tech products with track & trace possibilities in the packaging. Progression-Industry BV develops out-of-the-box solutions for the core challenges of the automotive and petrochemical sector: CO2, particulate matter and sustainability. The methods being developed are WEDACS (regaining the gas-valve losses in petrol engines), PFAMEN (injector with tip of sintered metal for better atomization) and CyclOx (clean, green fuel from residual waste). Sorama helps companies to detect sources of noise with the world's most versatile acoustic camera to visualize how a product or machine makes noise. One acoustic measurement generates very sharp images of the acoustic pressure, particle speed and acoustic intensity. The structure of the acoustic strength over time is also very clearly visualized to enable even better detection of the sources. Xpress Precision Engineering supplies components for precision metrology. An important product line comprises Gannen tasters, which are able to measure an object three-dimensionally for research purposes or for quality control. The taster has a very small ball bearing (between 0.5 and 0.05 mm), which enables very small features to be measured. This is done with nanometer precision and at very low forces, so objects are not damaged. The main applications are measuring lenses, micro-channels (like a diesel injector), medical implants and (aero)space components. Medical Robotic Technologies develops robotic technology for medical applications, starting from research results at the Control Systems Technology group, in close cooperation with experts in the field. Application examples are vitreo-retinal eye surgery and minimally invasive surgery in the abdomen and thorax. IME Technologies provides solutions for research and production in the field of advanced nanofibers. It currently focuses on the development and delivery of specialized R&D equipment for nanofiber production and materials characterization to both academic and industrial research laboratories worldwide. Next to delivering products, IME Technologies supports its customers in all phases of their research with sampling, support, upgrades and after-sales services. The mission of IME Technologies to enable its clients to improve and accelerate their research. 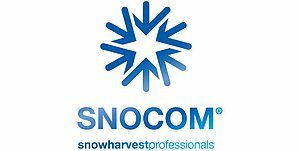 The mission of SNOCOM is to assists airports in their challenge to remove snow of runways in an efficient, cost effective, safe and sustainable manner. That is why they have developed a machine that does not only combine all three current mechanical snow removal methods, but also adds an innovative technology that reduces the volume of the snow before loading it in a truck. 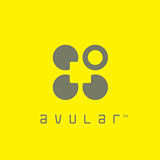 Avular was founded in 2014 and is specialized in the design, engineering and manufacturing of professional UAV (Unmanned Aerial Vehicle) systems. They design and build UAV systems, compliant with the regulatory standards of today and tomorrow, suitable for industrial tasks. Corellian develops aerodynamic solutions, which will improve fuel consumption, carbon emissions and overall performance of passenger cars and light commercial vehicles. This way, Corellian aims to create sustainable mobility for many people. Corellian works in close cooperation with, amongst others, the TU/e. All solutions are tested and approved by RDW, TüV and other regulatory bodies, reinsuring high quality and maximum safety.